Doric Homes Inc. is a team of expert luxury home builders with with over 40 years of experience in the industry. An old world builder whose foundation lies in process driven development and high quality workmanship. Doric Homes prides itself on providing quality workmanship and building beautiful homes with superior materials and finishes. Doric Homes is a Tarion Warranty Corporation* Registered Builder and a member of The Building Industry and Land Development Association. Doric has been recognized as Awards of Distinction Finalists, Ontario Home Builders Association for both 2010 & 2011. 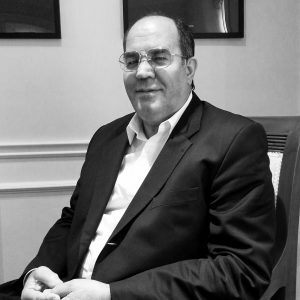 Ali Ahmadi is the president and the founder of Doric Homes. He has 40 years of experience in leading large scale commercial construction projects as well as residential real estate development. In his early 30’s (around 1976-1978) he served as the mayor of his hometown in north east part of Iran. After his term as the mayor he started his own business and founded a successful general contracting business, Paniz Construction, and led the company for over 25 years. His company achieved the highest ranking among general contractors in Iran. During his time in Paniz Construction his company completed 16 large scale projects in the ICI sector as the general contractor or the project manager. His final public project was the successful design and construction of one of the largest Women’s Sports Complex in Iran, completed around 1997-1998. This project included 220,000 square feet of facilities built over an area of around 1 million square feet. In the private sector Ali invested, designed and built 3 luxury condominium residences in Tehran, Iran, and led the construction of another private estate condominium as a construction manager. After moving to Canada with his family Ali Ahmadi founded Doric Homes focusing on low rise residential development projects in Toronto. With his son joining the company he hopes that in near future he will be able to expand his business and work on larger scale development projects in GTA. Bijan completed his Masters’ degree in Civil Engineering at the University of Toronto with specialization in Project Management. As part of his graduate research program he conducted a successful study for the Ministry of Transportation of Ontario on management of their highway maintenance projects. The study was acclaimed at the International Construction Conference in Ottawa organized by the Canadian Society for Civil Engineers. 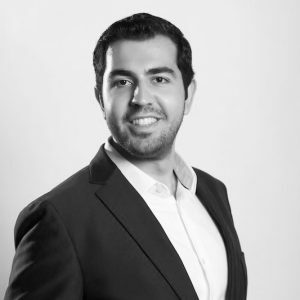 Upon his graduation Bijan started working as an Analyst at Capital One Financial leading the strategic analysis of two consumer lending programs generating $500 million in annual outstanding from a base of 1.4 million customers. After leaving the world of finance he joined a Toronto technology startup and successfully managed a team of six engineers, designers, and health experts in developing a Customer Relationship Management Software. Same as his father Bijan has always strived to build his own successful venture. With an education in construction engineering and experience in finance he believes that he has the right qualifications to lead his family business in the right direction. In his spare time Bijan involves himself in different community activities and non-forprofit initiatives. He has served on the board of a number of non-profit organizations and has organized several fundraising initiatives to support different charity and non-profit organizations.